Once poorly understood by the mainstream building industry, airtightness is now increasingly seen as one of the most crucial objectives on any building project. Not only is it vital for energy efficiency, it’s also key for thermal comfort and for protecting a building’s structure from dampness and mould. In this comprehensive guide to airtightness, we look at why it’s so important, how exactly it’s measured, and most importantly, how to achieve it on site. Even if you’re a new reader of this magazine, it probably won’t surprise you to know that airtightness is one of the fundamental building blocks – if you’ll pardon the pun – of passive house design and construction. 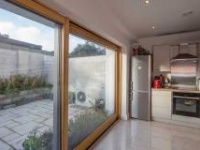 It’s also a critical component in any type of low or zero energy building project, including those that aim to meet the nZEB (near Zero Energy Building) standard for dwellings that will come into force in Europe after 2020. But what is the benefit of making a home airtight, exactly? If designed right, airtight homes are warm, comfortable homes that are free from both draughts and condensation, and future-proofed against the extreme weather events promised by climate change. As Simon McGuinness notes in his seminal article on the subject, “Airtightness - the sleeping giant of energy efficiency” (see Issue 7 of PH+), a building’s airtightness is an indicator not just of its energy efficiency but its build quality. With a little care in design and on site, airtightness targets that might seem impossibly tough can be surprisingly straightforward to achieve. That said, there are a few lingering misconceptions about the area, so educating and upskilling the building trade is hugely important not just for understanding what airtightness is all about, but appreciating just how much making a building properly airtight adds to its overall quality as well as energy-efficiency. (above) Diagram showing some of the potential main junctions and penetrations in a building envelope, where good airtightness detailing and workmanship will be required. Airtightness is about eliminating all unintended gaps and cracks, holes, splits and tears where air can move into and out of the ‘conditioned’ space (heated or cooled space) of the building. (above) Example of a simple clear section drawing of a house with the airtightness layer marked clearly in red. Airtightness is important for avoiding heat loss as it means less uncontrolled air movement in and out of the building. Less heat loss also means your heating system will work more efficiently, thereby reducing heating bills and energy wastage. It also contributes to maintaining thermal comfort (ie. 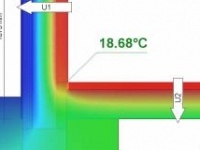 insulating better in winter and reducing overheating in the summer). It can improve health by preventing substances that can provoke allergies being carried into the building via air leakage, and can also result in better sound insulation within the home. Building durability is also enhanced through airtightness by preventing damage caused by moisture-laden cold air leaking into the building envelope and condensing. In conjunction with a properly designed ventilation system, airtightness will eliminate damp and mould growth in the building fabric and vastly improve indoor air quality. And last but not least, achieving good airtightness necessitates a higher focus on build quality and quality workmanship, which in turn should mean fewer call backs. (above) Another easy-to-understand drawing, this time of a wall-to-floor junction, with the airtight and wind-tight layers marked clearly in red. As awareness of airtightness metrics has increased, the average performance of new homes in Ireland has risen sharply. 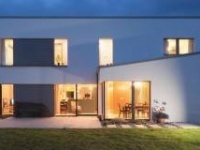 The unpublished 2005 Energy Performance Survey of Irish Housing found that new homes built around the turn of the millenium had an average airtightness of 11.8 m3/hr/m2 @ 50 Pascals. By comparison, data from the National BER Research Tool shows the average airtightness for homes built in 2017 is 3.66 m3/hr/m2 – a figure that drops to less than 3 when the 18.5% of homes which used a default of 7 in lieu of testing are excluded). But while scores in Ireland have improved dramatically since the last building boom, there are risks that averages may start to decline as activity resumes. With a skills shortage and the rush to build quickly, this is perhaps inevitable without particular care. A definite issue to watch. In the UK, Air Tightness Testing and Measurement Association (ATTMA) data from 2017 suggests that the average airtightness for homes is around 5 m3/hr/m2. While the passive house standard uses a different metric to measure airtightness – and more on that below – in a typical dwelling shape, a passive house would be hitting well below 1 m3/hr/m2. 1 Airtightness membrane at the underside of a ceiling with taping around web-joists and other junctions; 2 airtightness taping around joist ends; 3 taping of membrane overlaps to underside of ceiling, with service cavity beneath; 4 specialised seals around penetration for wires; 5 and ductwork; 6 airtight membranes installed by Clioma House prior to the installation of internal studwork in a Long Life Structures build. As mentioned earlier, a common misconception about airtightness is that it means letting no air into a building. Ventilation is crucial, as it is in any building – sufficient ventilation to remove pollutants, but not to the extent that occupants become uncomfortable and sabotage the ventilation source. Therein lies the problem for buildings that rely on leakage and/ or natural ventilation: the ventilation rate may go from too little to far too much, depending on factors beyond the building designer’s or occupant’s control. But although many of us put up with patchy air quality in leaky buildings, this isn’t an option in tighter buildings. Which invariably means installing some version of a mechanical and controlled system. There is still a school of thought that believes that it is dangerous to make a building too airtight, or that the ‘natural’ ventilation generated by a leakier construction or enough holes-in-the-wall will be enough to offset the need for any kind of mechanical ventilation, (and by extension, the need to meet more stringent airtightness standards). Furthermore, it’s argued that accidential infiltration via leaks in the building envelope can’t be regarded as proper, fresh ventilation as aside from being intermittent, the air may have moved through unsanitary pathways. But as we continue to make buildings more and more airtight, the use of controlled ventilation will become more critical – with ‘control’ being the key word. If a building envelope is not airtight, the ventilation is ultimately less reliable as it is not possible to control air movement in and out of the building. And note another common misconception: a building can be both airtight and breathable. Breathability, in this case, is about ensuring that the building is vapour permeable (allows the movement of water vapour through the construction). The most common airtightness test is the ‘blower door test’, and which is now a building regulation requirement for new homes. During any test, windows, flues, chimneys and vents are closed during the test. A fan is placed in a door or window and air is sucked out (de-pressurised) and blown back into the building (pressurised). During both these periods, the fan operator notes the amount of airflow. The airflow result is the average airflow during pressurisation and de-pressurisation, i.e. the amount of cubic meters of air per hour leaving / entering the home via gaps and cracks etc. The airflow per hour is then divided by the size of the building to give us the relative air-leakiness of the building. Airtightness can be expressed in different ways, such as the n50 value used by the Passive House Institute (ACH @ 50Pa), and the q50 (m3/hr/m2) used for building regs and energy ratings in both Ireland and the UK. The n50 value measures the number of times the entire volume of air in a building changes within an hour, while q50 measures the number of cubic meters of air leakage per hour per sqm of envelope area. Both values assume a pressure differential of 50 Pascals (ie pressuring and depressuring to 50 pascals and averaging the results out). This is said to be equivalent to a 20mph or 30kmh wind hitting the home at the same time from all sides. In other words, a very windy day. While the n50 value is not used in Irish or UK building regulations, many people use this measure when talking about airtightness. 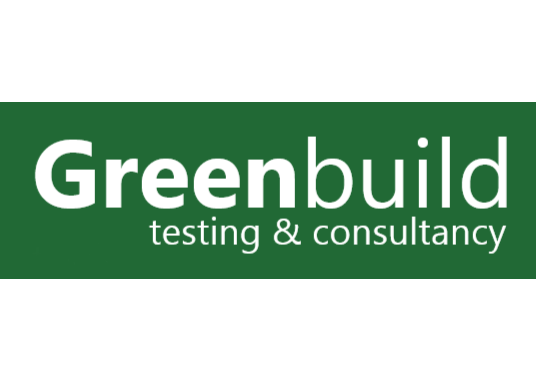 “It has the advantage that it is based on a volume divided by a volume, so the unit is very simple, and whether it’s litres per second, cubic metres per hour or cubic feet per minute that is used, the air change rate type number stays the same,” explains airtightness tester & consultant Gavin O’Se of Greenbuild. The q50 and n50 results are often very similar in typical houses, a coincidence due to their geometry, and which also partly explains why some people – in error – use the two values interchangeably. The results can be wildly different in more unusual building forms and in larger buildings because, as the building gets smaller (say a tiny apartment) or much larger (say a large supermarket), the ratio between internal volume and shell surface area changes a lot. This may also explain why it tends to be easier to achieve low n50 scores in larger buildings. 1 Paul Jennings conducting a blower door test to check a building’s airtightness; 2 builder Mike Whitfield using a smoke pencil to look for air leaks; 3 sealing of a ventilation duct prior to a building’s airtightness test. In Ireland, proposed changes to Part L building regulations for new homes – set to come in next year to bring Ireland in line with the EU’s nZEB requirements – means 5 m3/hr/m2 will be the new backstop air permeability for homes, down from the current level of 7 m3/hr/m2. Arguably the new target doesn’t go far enough: as mentioned above, if we exclude homes where developers relied on type testing and inputted a default of 7 m3/hr/m2 for untested homes, new homes have averaged under 3 m3/hr/m2 every year since 2015. This is in part down to how the Irish building regs work: a number of (arguably unambitious) minimum compliance backstops are set for the likes of insulation and airtightness levels, but the building must achieve an overall 60% energy reduction compared to the 2005 regs. That means going beyond the backstops in several areas. Good airtightness is one of the lowest cost means of getting towards that target. However, the proposed rules also say that while homes which score below 3 m3/hr/m2 must use mechanical ventilation, it’s proposed that homes which score between 3 and 5 may still use natural ventilation – albeit with such a large area of background ventilators that the resultants homes may resemble swiss cheese. (Editor – an independent ventilation report seen by Passive House Plus on a typical Irish semi-d built to current Part L and suffering from mould found that the home should have had 22 background ventilators rather than the nine provided, in order to comply with current Part F requirements for homes below an air permeability of 5). As noted above, under the current Part L 2011 rules, spot testing is permitted whereby, for example, a developer can test a (low) percentage of each house type in a housing scheme and extrapolate for the rest. Under the proposed new regulations, it’s proposed that all new homes should be tested. According to O’Se, the spot testing rules allow developers to enter the worst case of 7 m3/hr/m2 to be entered into the BER for units that are not tested, even though these units may be worse than this in reality. In 2017, 18.5% of new homes used this default. For non-domestic buildings, the new Part L regulations will require a q50 of 5.0, along with a requirement for testing. The previous target was 10.0, but with no requirement for testing. 10.0 is still the backstop for new homes in England, Wales, Scotland and Northern Ireland, but data from the ATTMA (Air Tightness Testing and Measurement Association) shows industry is achieving less than 5 on average. In the UK, there have been concerns expressed about the quality of data on airtightness tests and that many builders are gaming the testing procedure. A study of the airtightness test results from over 100,000 new homes by the Air Tightness Testing and Measurement Association (ATTMA) with the University College London Energy Institute found evidence that homes are not being built airtight enough but are undergoing short term sealing measures to enable them to pass the test. Some popular airtightness membranes include 1 Isover Vario 2 Ampatex 3 pro clima Intello and 4 Airstop Diva Forte. Newer airtightness product innovations on the market include 5 Blowerpoof liquid airtight paint and 6 Medite Smartply ProPassiv airtight OSB. Airtightness experts all speak of the crucial importance of designing in the airtight layer early on. As passive house consultant Nick Grant of Elemental Solutions puts it, airtightness is “90pc design, 10pc extra effort by the contractor”. It’s also critical to make it very clear to everyone on site where the airtightness layer is. “Hundreds of carefully drawn details are not as good as a page of A3 with simple key details,” he said. But even as awareness and knowledge of airtightness becomes more widespread and mainsteam throughout the trade, site control will still be vital, “because airtightness isn’t aligned to one trade; airtightness involves any person who interacts with your external envelope”, says Crosson. This means ensuring that as many of them as practically possible should get trained or arrange for workshops on site. Fintan Smyth, building physics manager with Gyproc & Isover Ireland, highlights the work the company has been doing to upskill the market at its technical academy, training everyone from designers, to tradespeople, to builders merchants staff on airtightness. Smyth reckons circa 4.000 have had airtightness training – with about 1.500 having detailed training on full day courses specific to airtightness. “Our academy trains between 1.200 and 1.300 people per year on three full day courses, with a course portfolio including nZEB in practice, airtightness and advanced airtightness – all practical courses.” Smyth said the company’s nZEB course – which focuses on building fabric – is derived from the Passive House Institute’s certified passive house tradesperson course. The idea of appointing an airtightness champion on sites (particularly on bigger sites), is becoming more popular. “Good airtightness requires an on-site airtightness champion – and it must not be the site manager,” says Paul Jennings, an air leakage specialist with Aldas. Planning the sequencing of all the relevant steps in the airtightness process is important, too from inspections, recording (including photographing) sealing works, number of airtightness tests and when they need to happen. 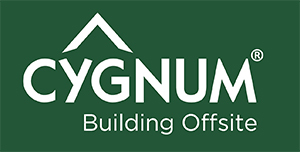 When it comes to choosing specific products, the bottom line is that whatever is used must be fit for purpose and last for the lifetime of the building, especially since there will be little or no access to the airtight layer after a building is complete. Airtightness tape is typically used for covering junctions and penetrations, but unlike other products such as membranes, there are no harmonised EN standards for tape – though one is under development. According to Crosson, it’s expected that a new Din standard being developed in Germany – which assesses the durability of airtightness tape – will become an EN standard. Some manufacturers are already testing to this standard. For example, Pro Clima’s primary tapes has been reportedly tested to an expected life of 100 years, although this proposed standard is proposing that any tape must pass 17 years to be considered ‘permanent’. There is a large disparity in the quality of tapes and sealants on the market that has been shown in various aging tests, but the best tapes and sealants typically use solid acrylic technology, said Crosson. A number of airtightness systems are currently certified by organisations such as the BBA (British Board of Agrément) and NSAI Agrément and PHI. And while there are many tried and tested products, there are always plenty of innovations to keep up to date with. Two of the most notable include Medite Smartply ProPassiv, a Passive House Institute certified airtight OSB panel with an integrated vapour control layer that many like because it is very robust and can be used as part of the structure; and liquid membranes that you paint on from the likes of Blowerproof, Soudal, Isocell and Pro Clima. In a masonry build, wet plaster for masonry (or polished concrete/screed for floors) is a reliable way to build an airtight layer, but you need to plaster all areas, even if they’re not exposed. 1 Applying airtightness tapes prior to window installation; 2 airtightness quality control station on a Shoalwater Timber Frame passive house build for Michael Bennett Group; 3 airtightness membrane and taping around window junctions. 9. Which build system is more airtight? Although with careful design detailing and workmanship it’s possible to make any build method airtight, certain approaches have inherent advantages. Insulating concrete formwork systems tend to achieve an airtight wall without much effort due to the continuous nature of the poured concrete core. Similarly structural insulated panels tend to score well due to the continuity of the insulated core and the relatively airtight nature of OSB, provided care is taken to tape panels together. Wet plaster can make masonry walls tight too, provided both exposed and hidden wall sections are covered, though extra care is required with tricky penetrations like joist ends and wall chases. Dry lined masonry walls can be made tight too by battening out and installing a membrane, or with a parge coat on the masonry. Proprietary products like Gyproc Airtite Quiet plaster are marketed for this use. Timber and steel frame do not have inherent airtightness advantages, but the best suppliers are capable of exceptional results. The best scores Passive House Plus has ever reported tend to come from master timber framers – the likes of Shoalwater Timber Frame, Clioma House and Touchwood Homes have achieved results of less than 0.1 ACH, while the likes of Cygnum, MBC Timber Frame, Beattie Passive & Eco Timber Frame have developed track records of reliably beating the passive house target of 0.6. With timber and steel frame walls, a membrane is a must – either in sheet or board form. In the case of timber frame, where it’s important to minimise risk of interstitial condensation, the membrane doubles as a vapour control layer. In the Irish and UK climate, this should be on the warm side of the main insulation layer, to prevent risk of vapour condensing between insulation and airtight layer. There are external airtight layers on the market which offer the promise of a simple, continuous airtight layer protected from service penetrations, but there are concerns that such approaches are inherently risky in the absence of a reliable means of preventing vapour from entering the insulation layer and condensing. It’s generally regarded that much less ambitious airtightness targets should be set for existing buildings, given the limitations posed by existing junctions and the need to gut a building to make meaningful improvements. But this is a case where external airtight layers on solid block walls – air movement in hollow blocks or in cavities may limit its application otherwise – may actually prove transformative, such as liquid membranes applied to the outer face of walls before external insulation layers are applied. There would have to be consultation between the external insulation supplier and paint supplier to ensure there’s no compromise on the integrity of the system. And if external insulation isn’t an option, there are alternatives. For instance, Isover’s NSAI Agrément certified Optima dry lining system combines an insulated steel frame, behind a taped airtightness membrane and plasterboard to finish. That said, it’s a misconception that existing building stock are always leaky. Not the case. 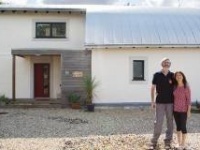 If the prospect of making an old building airtight deflates you, it’s worth noting that Michael Nally & Sons of Galway produced a retrofit with a leakage rate of just 0.37 ACH on a Simon McGuinness-designed passive house retrofit. What’s more the contractors were novices to airtightness. So that’s not rocket science, either.